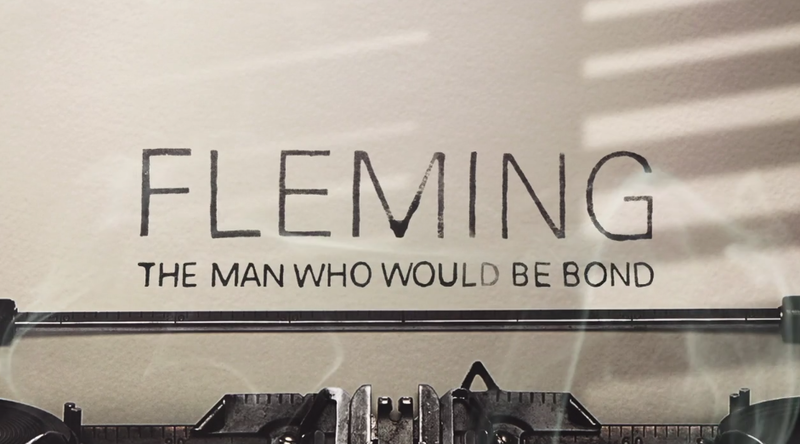 Broken Antler were asked by Brewery VFX to help develop the titles for the 4 part Sky Atlantic series ‘Fleming’. This is the process they went through, different versions and the different ideas they tried. Sky Atlantic ‘Fleming – The Man Who Would Be Bond’ Title Design Development. from Broken Antler on Vimeo. They developed a number of different methods and techniques to introduce the titles based around the idea of Fleming writing and drew inspiration from earlier Bond film title sequences. However they didn’t want it to appear as a Bond title sequence and wanted the effect to have a more organic look rather than just computer generated so they had a lot of fun playing around with ink, water and wax to create these effects. Brewery VFX completed the title sequence for the series. March 28, 2014 in Incidental Intelligence.